LASIK is among the safest and most effective surgical procedures performed today. The safety of LASIK has been proven time and time again; however, some patients still worry about experiencing side effects after surgery. During a pre-surgical consultation with Dr. Sonny Goel at his eye care center in Baltimore, LASIK side effects are discussed in detail. 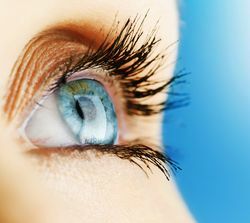 During this pre-surgical LASIK consultation, Dr. Goel also performs a comprehensive examination and conducts a thorough medical and vision history. These steps help to ensure that the patient is a suitable candidate for LASIK surgery. Burning, itchy eyes: It is normal for a patient to feel like there is something in the eye. Patients may also experience itchiness or burning in the eye. These side effects can cause a patient to experience a strong desire to rub his or her eyes after surgery. It is vital that the patient refrains from rubbing his or her eyes. Rubbing the eyes after surgery may cause the corneal flap to dislodge in addition to other complications. Bloodshot or red eyes: Many patients experience bloodshot or red eyes after LASIK surgery. This painless side effect should begin to improve within the first one to two days after the procedure. Discomfort: Patients may experience mild discomfort after undergoing LASIK surgery. Most patients will be able to control any pain or discomfort experienced after surgery with over-the-counter pain relievers. Blurry vision: A patient’s vision will be hazy or blurry during the first few days after surgery. It can take three to six months for vision to fully stabilize after LASIK surgery. Tearing or watering of the eyes: Following surgery, it is normal for a patient to experience excessive tearing or watering of the eyes. Dry eye: The vast majority of patients that undergo LASIK will experience some degree of dry eye following surgery. Dry eye can cause vision to appear blurry. It can also cause a burning sensation in the eyes and itchiness within the eyes. To ensure proper lubrication of the eye during the healing process, eye drops will be prescribed. Sensitivity to light: Patients may experience a feeling of slight pain when exposed to bright lights during the early recovery process. Patients experiencing sensitivity to light after surgery may benefit from wearing sunglasses in areas of bright light. Glare, halos, and starbursts: It is common for patients to experience glare, halos, and starbursts within the first few weeks to months following LASIK. Glare, halos, and starbursts can make it difficult for a patient to see and to drive at night. Many patients experience an improvement in glare, halos, and starbursts within the first six months after surgery. LASIK has helped millions of men and women bid farewell to their glasses and contact lenses since its inception. To learn more about LASIK side effects or to schedule a consultation, please contact Dr. Sonny Goel today. Dr. Goel and his team of eye care professionals look forward to hearing from you.